The people of Mellieha are lucky. 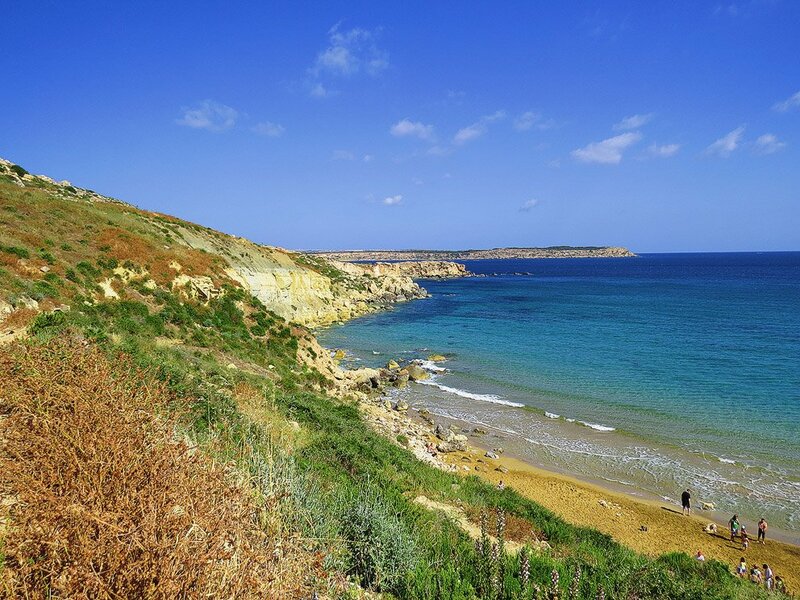 In spite of the islands’ urban sprawl, not only is their town one of the few not touching the neighbouring village but it is also one of the few places in Malta which is spoilt for choice with splendid examples of the Maltese countryside practically circling it on all sides. 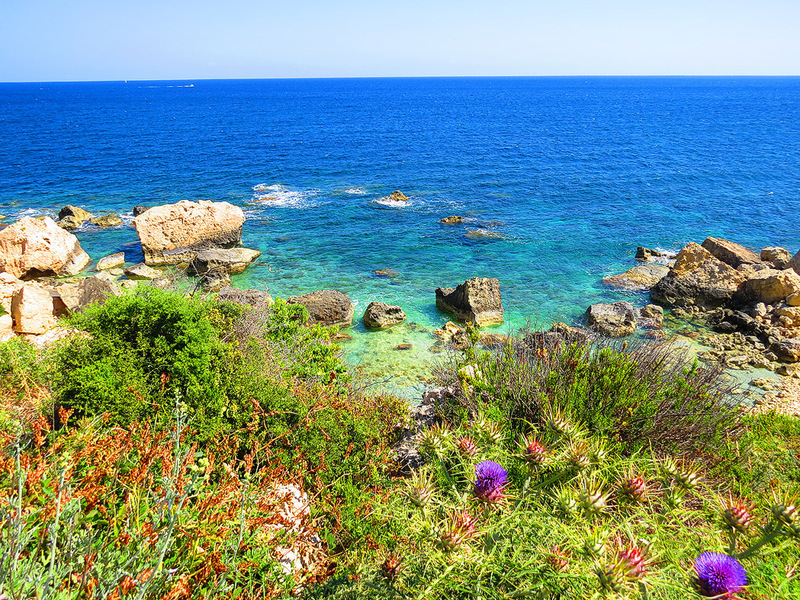 And even though the Maltese countryside all but dries up in the summer, the Selmun area on the town’s southern end is worth a visit at any time of the year – in summer not least for the wealth of small, beautiful coves dotted along the area’s coastline. For the summer months this area provides a clutch of lovely swimming spots. The tiny sandy Selmun beach (also known as l-Imgiebah) is probably the best of them although it tends to fill up quickly during summer weekends – in spite of its small size the setting is impeccable and the waters are clean, shallow and safe. 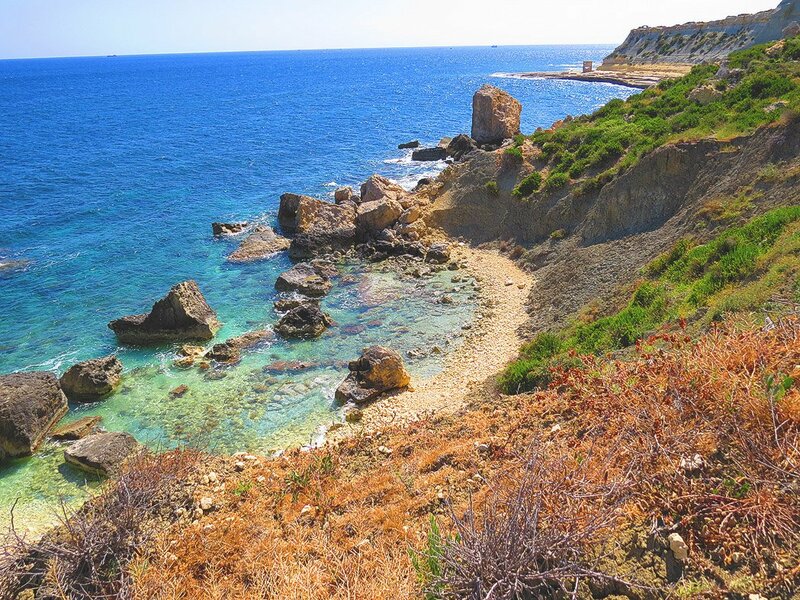 On the left side of the sands, and reached from the clay slopes above the beach, are a series of quiet shingle coves where the sea is impeccably clear and a few flat rocks here and there provide space where one can lay out a beach towel. Finding shade is not always easy, though further out on this arm of Selmun there are some bigger boulders which provide a little welcome shade – and an added degree of privacy. To the right of Selmun beach another track leads off over rock and clay. Here too after some distance one can find a couple of quiet hidden coves – one of which is backed by a grove of mature rushes. The Selmun area also has a heritage trail which one can explore in the early evening hours after the worst of the heat has abated – one can follow this from near the Selmun Palace which dominates the area. 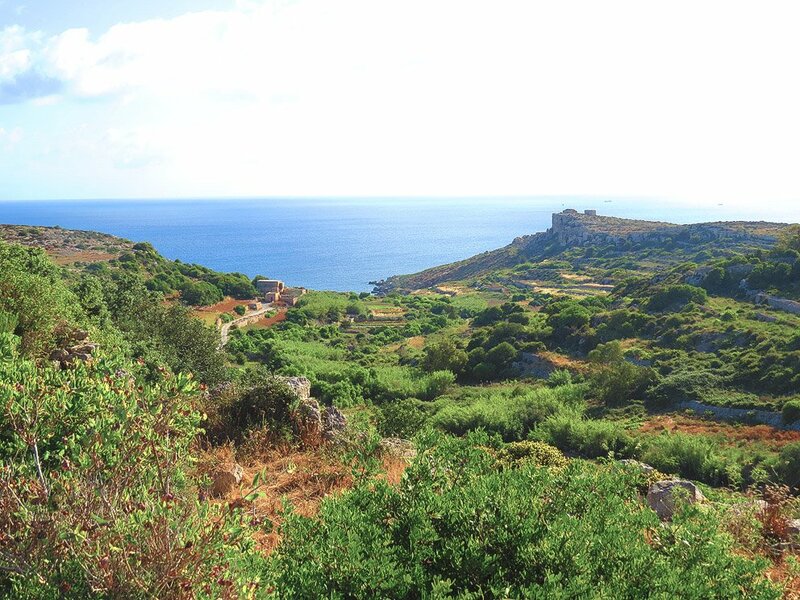 Features include a sample of Maltese farmhouses – some of which have been tastefully restored, while others still retain that abandoned air of old world charm. One of the trail’s interesting features is the remains of a knights’ watchtower which once guarded Selmun beach – in fact this tower was the first of the series known as the De Redin towers to be built. The towers guarded the most vulnerable parts of Malta’s coast and were meant as an early warning system against any invader. The towers are built in a way that each one has a good view of the next – thus a warning could easily be realayed from one to the other. Built in 1658, the tower – known as the Ghajn Hadid Tower – collapsed during a rare earthquake that hit the islands in 1856. The tower’s stump remains however. 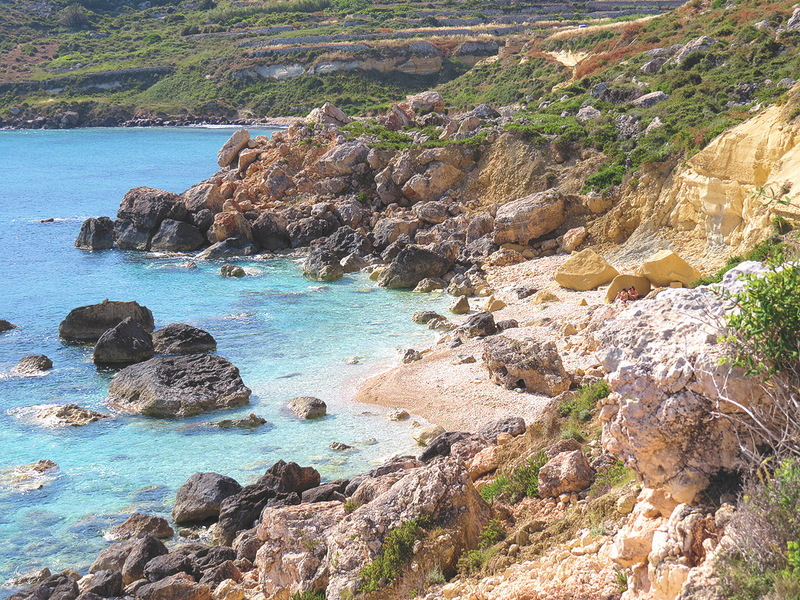 The Selmun area is signposted from near the roundabout as ne enters Mellieha coming from Saint Paul’s Bay. The Selmun Heritage Trail starts near Selmun Palace.